In 1977, NASA sent the Voyager 1 and Voyager 2 probes off into the cosmos with no particular destination in mind. Their objective was to travel and explore, relay messages back to us on Earth, and, perhaps, deliver a message from us, should they encounter any extraterrestrial life. Nearly 40 years later, Voyager 1 is now in interstellar space. Both probes are still in communication with us back at home, and they still carry those carefully curated sounds of life here on Earth on the Golden Records. Now you too can listen to—and own—the only government-authorized alien playlist in history. 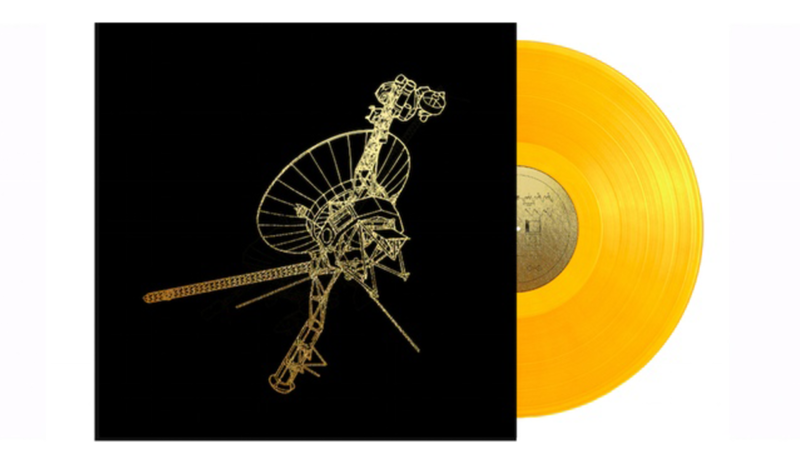 The Voyager Golden Record: 40th Anniversary Edition is a Kickstarter campaign that has more than doubled its fundraising goal in just a few days’ time. The box set is a reproduction of the original phonograph records, which were selected by a team headed by Carl Sagan, and include audio of the human experience that ranges from Beethoven to birds. (As The New York Times reports, not even Sagan himself got a copy.) The audio—about two hours in all—is even being remastered by the original producer, Timothy Ferris, for optimal sound preservation and quality. For $98 you can get a copy of the set, which includes three heavyweight translucent gold vinyl LPs, a hardbound book with images from the original Golden Records, along with photos taken by the probes, essays, and other project-related material. There's also a digital download card and a lithograph of the iconic Golden Record cover diagram, printed with gold metallic ink on archival paper. You have until October 20 to contribute to the campaign and secure one of the box sets for yourself. As you can imagine, production costs for the reissue are high, and the team writes on the Kickstarter page that the “overwhelming majority” of funds raised will go to that, along with licensing and royalties incurred. For a better look at the set, and to learn more, check out the video below.